This covers the time required to discuss your needs and discover what you want to achieve for your new smile, along with all the necessary records required to make an appropriate diagnosis and bespoke treatment plan especially for you. The fees for treatments vary depending on which method of tooth straightening you then choose. A guide is provided below. You will be given a full written quotation in advance of any treatment. No matter what option you go for, the price quoted will cover the cost of the appliances themselves, all required adjustment appointments, along with the necessary retainers once treatment is complete. We will also supervise your retention programme for one year following the end of treatment, free of charge. With 0% interest available, no deposit required and the option to spread your payments over as much as 5 years, Sunlight Orthodontics can offer you a package to suit your lifestyle. This is for indication purposes only. Fees can vary according to the complexity of treatment. Prices are correct at the time of writing. Finance is available subject to status. APR varies according to the length of the payment period. 0% finance is available for payment terms up to 12 months. 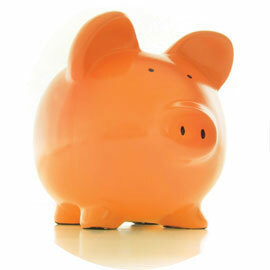 Longer payment periods accompany a representative APR of 7.9%. Terms and conditions apply. Authorised and regulated by the Financial Conduct Authority. If you are unsure as to whether orthodontics is for you, you can make an appointment with one of our treatment co-ordinators. This provides you with the opportunity to visit the practice and discuss the different types of braces available, as well as typical prices and any concerns you may have. You may then decide to have a full assessment with the orthodontist at a later date.